Today’s organizations need to make the most of their resources to compete successfully and obtain the appropriate tools to be in a position to take advantage of opportunities when presented. Companies must grow revenue, increase productivity, or cut costs with their capital expenditures. At eMazzanti Capital we provide a variety of financing options with your goals in mind. We specialize in financing networks by providing innovative, flexible financial programs to eMazzanti customers worldwide. These programs allow companies to maximize cash flow, preserve capital budgets, gain tax advantages, and retain the flexibility to easily upgrade technologies as their needs evolve. Improve productivity with the tools your firm needs today to compete well into tomorrow. Grow revenue with faster responses to customers’ needs, improve operational efficiencies, or better execution on opportunities that exist in the marketplace today. Cut costs by replacing systems that cost more to maintain then the operation of today’s alternatives. Conserve valuable capital by spreading the costs of technology over time, preserving lines of credit, and freeing liquid capital for other investments. Reduce total cost of ownership by applying financial services management across the entire life-cycle of the solution, ensuring benefits from up-to-date technology at the lowest cost. Simplify budgets by using operating expense (OpEx) budgets to acquire capital equipment now. Reduce impact on book earnings, since lease payments are made from pre-tax rather than after-tax earnings and, unlike capital purchases, require no public disclosure. Lease with maximum flexibility using payment schedules to match cash flow, budget, and ongoing technology upgrade requirements. Simplify technology acquisition with a fast, easy documentation process and the ability to combine solutions, software, and services into a single periodic payment. To begin we offer two tools on the road to a fast approval. 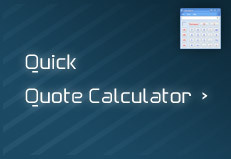 The first is a quick quote calculator which displays possible financial scenarios. With your program choice and company information in hand complete the one page credit application and you are on your way. Start today and click the link below that suits your needs. eMazzanti Technologies is all about delivering powerful solutions in the most efficient manner possible. The Hoboken, N.J., firm provides IT consulting services for businesses ranging from home offices to multinational corporations throughout the New York metropolitan area, the United States and internationally. ©2019 eMazzanti Technologies, a Mazzanti, Inc. company. All rights reserved.